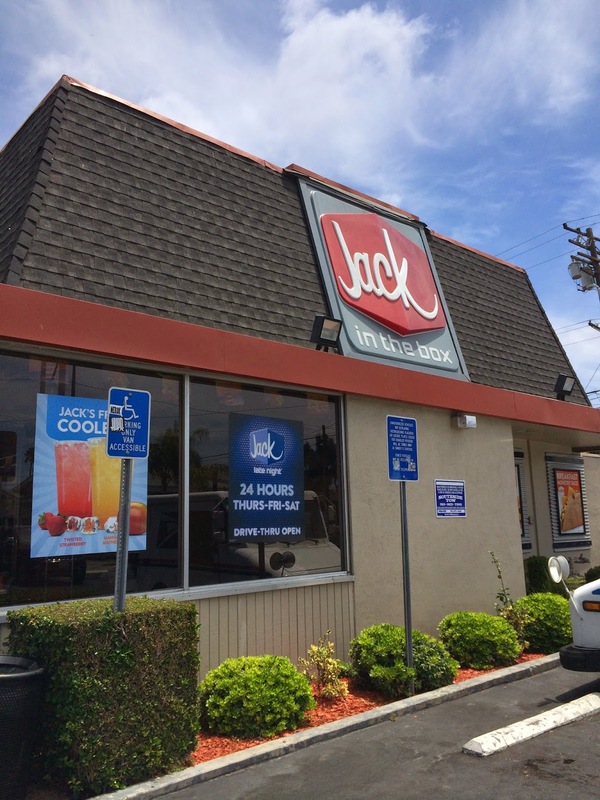 I had my first Jack In The Box in LA. 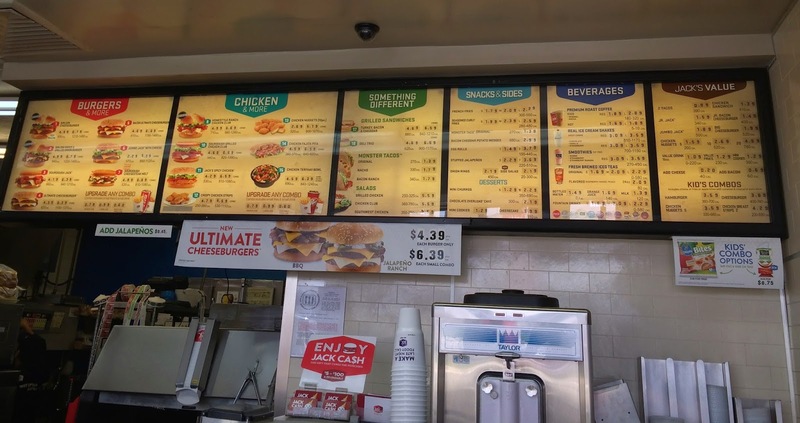 Of course I knew the fast food chain but there's none in NYC (at least the area I live), so I was very curious about the menu. One one the very popular item/set is "Jack's Munchie Meals" which is sold from 9PM and the set contains one burger, 2 tacos, 1 halfsies (mix of curly and regular fries) and a 20 oz. soda. When we got there was around 1PM so that it's still busy lunch period. It's my first time to see all the items so I was surprised they've got burgers to tacos, and shakes, too. We ordered a bunch of items. 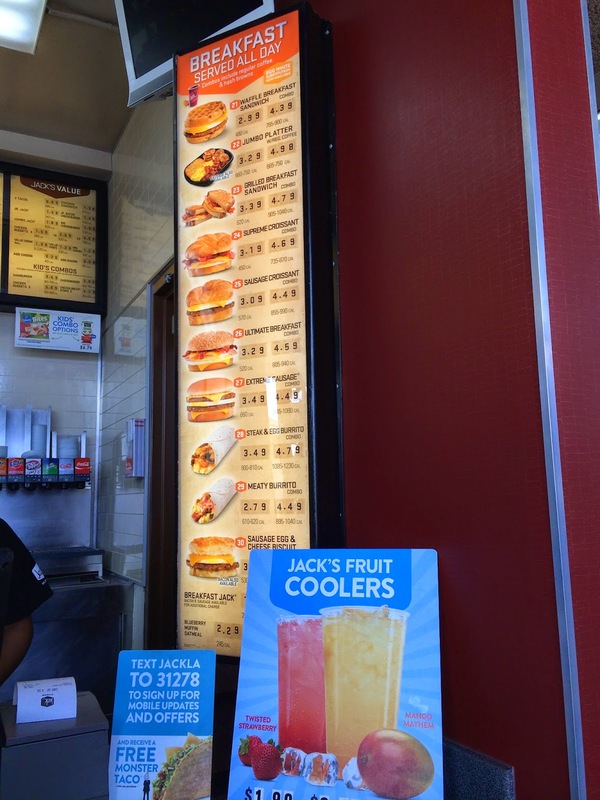 1 BBQ Ultimate Cheeseburger combo with soda and halfsies. 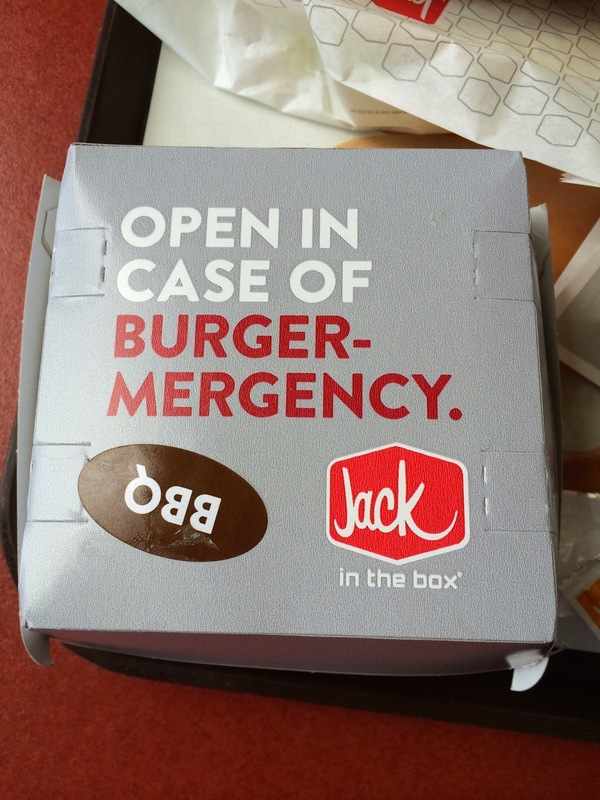 A large burger was sitting in the box. 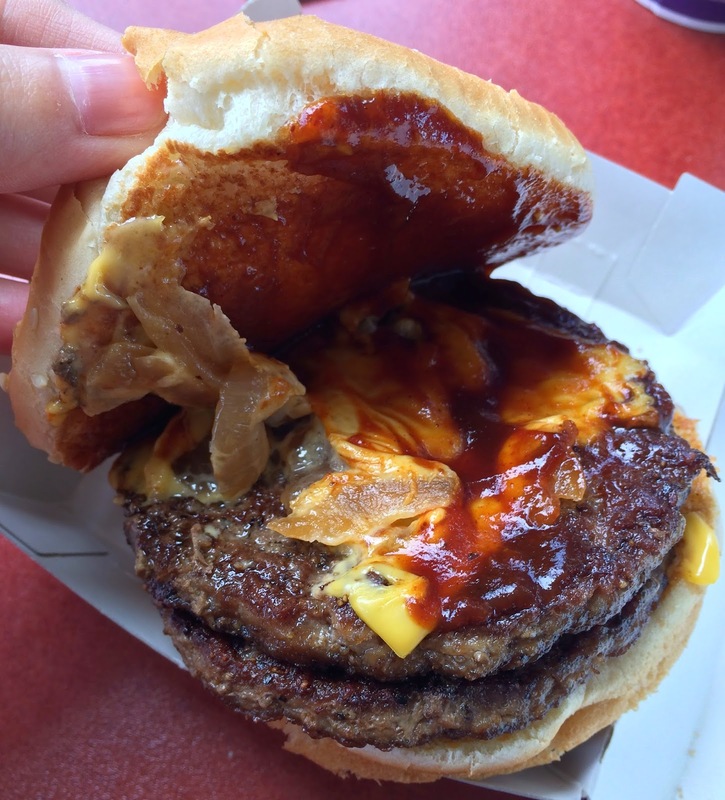 2 beef patties with American and Swiss cheese, BBQ sauce, and grilled onions are used. 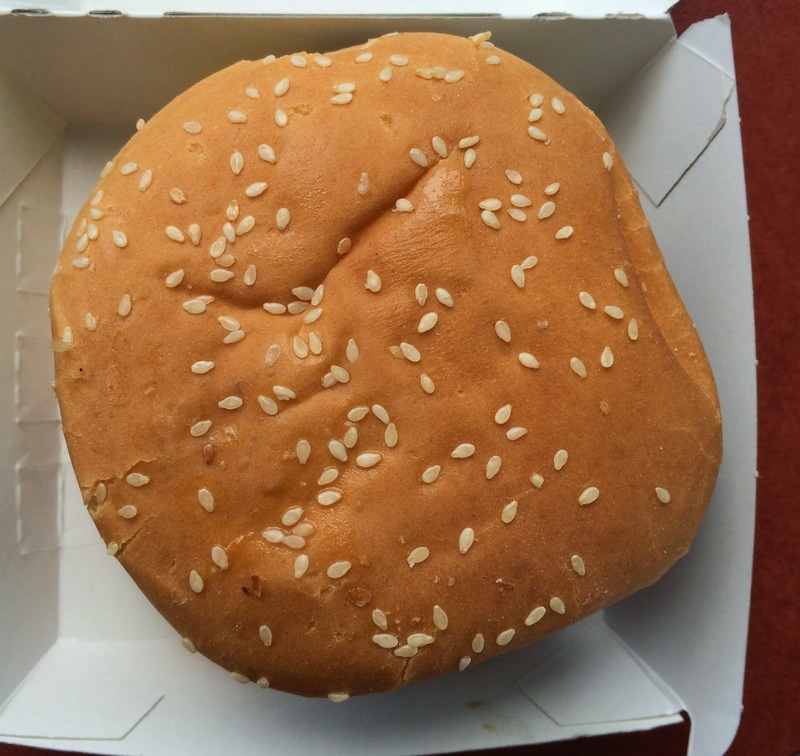 The buns were much softer than I thought. 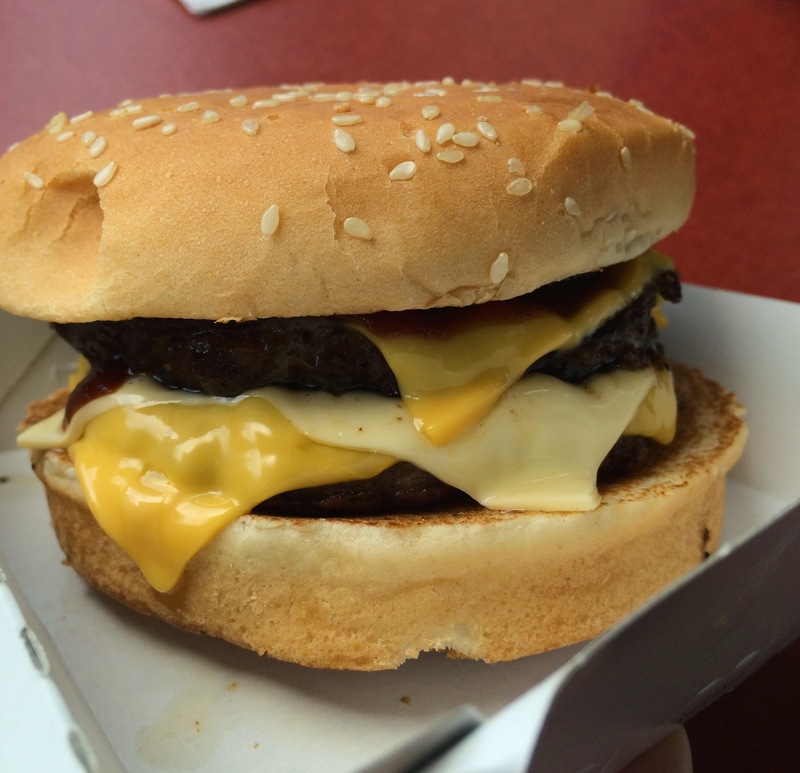 Beef patties were juicy, or more like greasy, as I saw some oil dripping when I held and bit. The BBQ sauce was peppery and sweet, which was quite good. Mix of straight and curly fries. 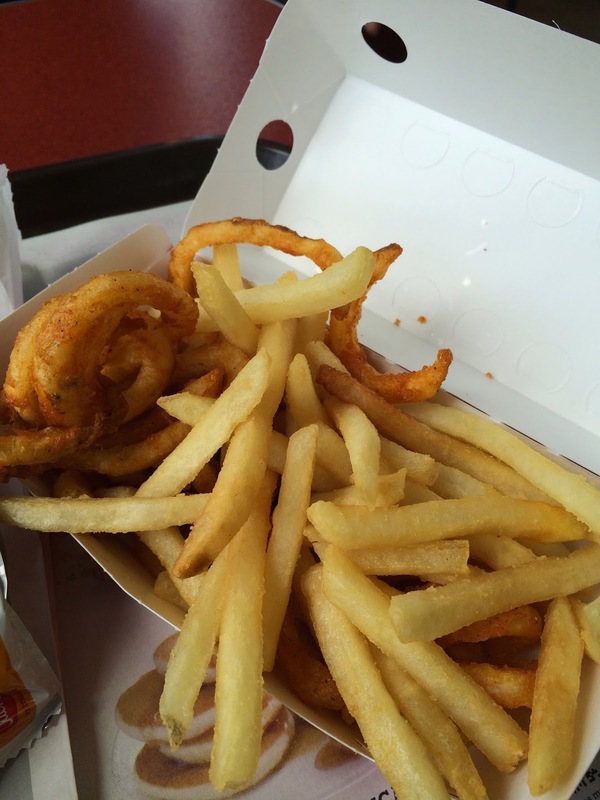 The curly fries tasted similar to the ones from Arby's. 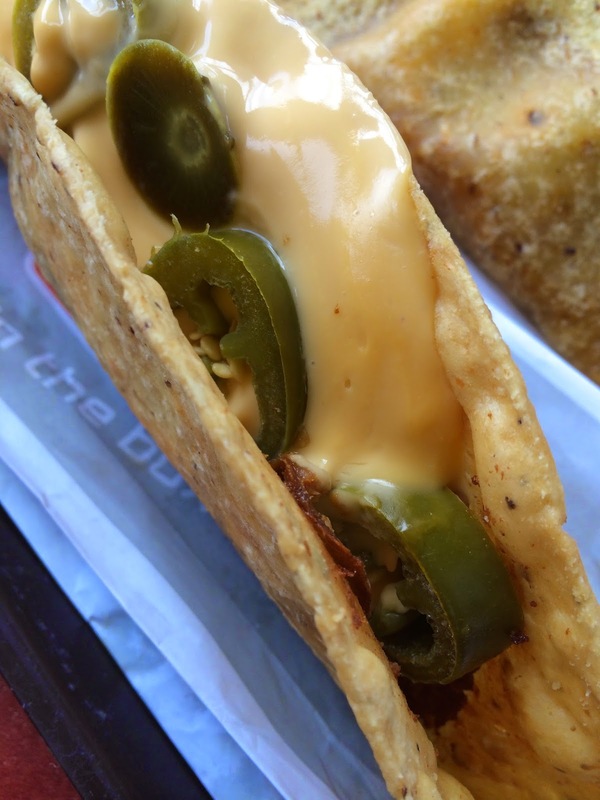 At the bottom, it's Monster Taco Nacho comes with jalapeño. 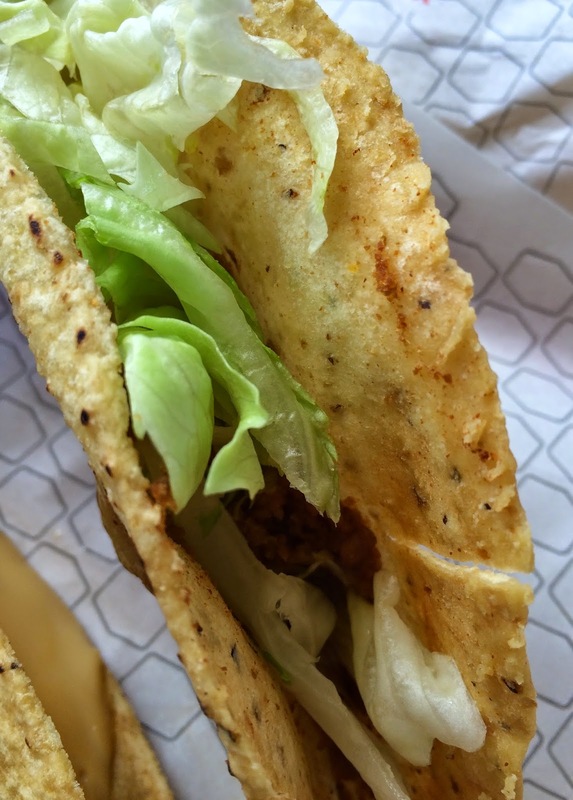 Smaller ones are the regular tacos (2 for 99 cents). I had expected Monster Taco would be much larger but it's just slightly larger than the regular taco. 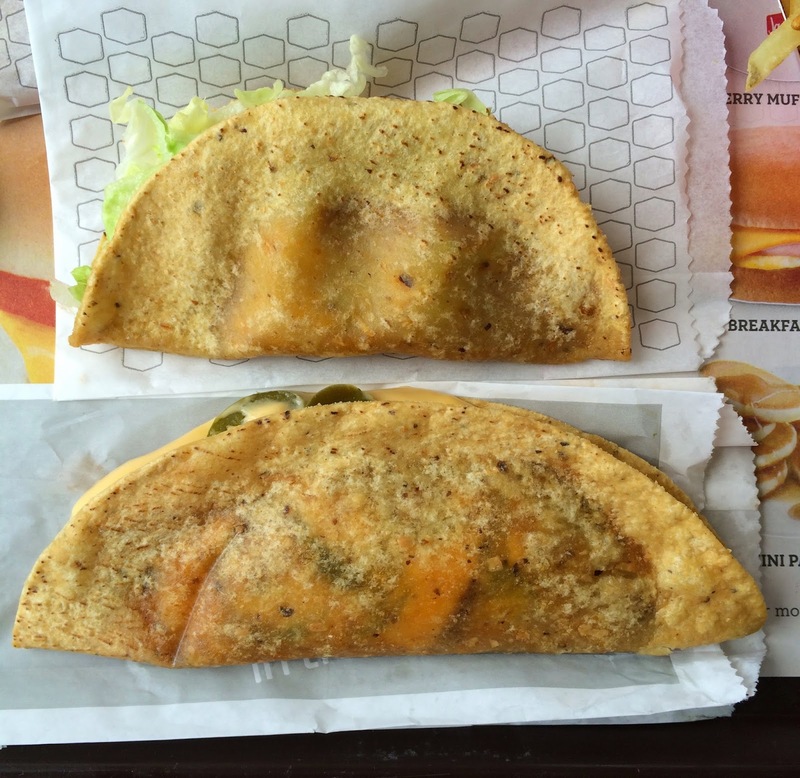 Taco shell was really greasy, cheese sauce was holding jalapeño slices well, and at the bottom, there's a lot of fake meat filling, which was disgusting. 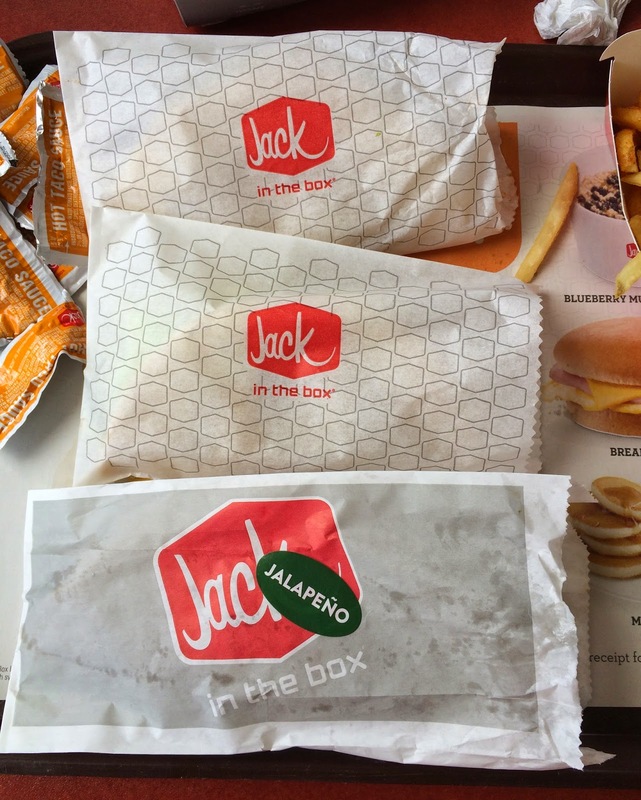 Other than cheese sauce, jalapeño and the filling, there's nothing. 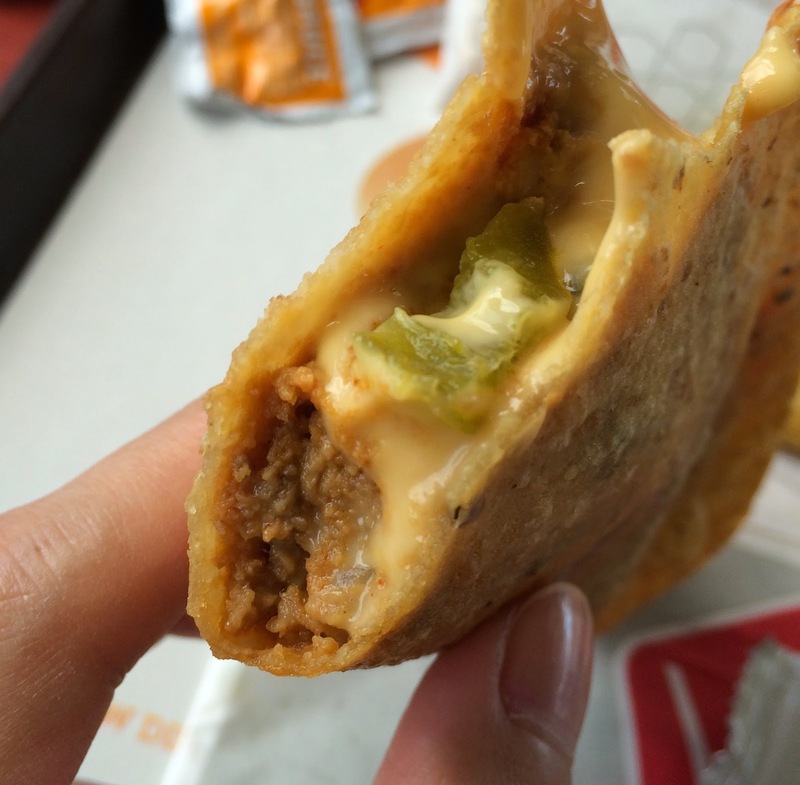 I used Hot Taco Sauce on this, but the fake meat still tasted awful. It's not like refried beans but something I couldn't figure out. 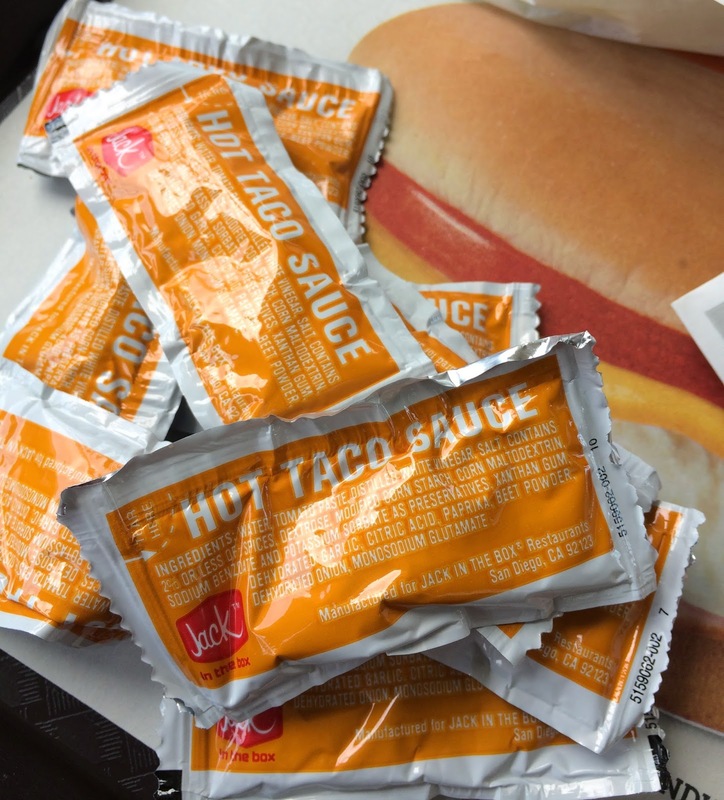 It contained the weird filling, cheese and lettuce, so I put the spicy taco sauce again. And I really didn't like the filling, so I scraped it off from the shell. 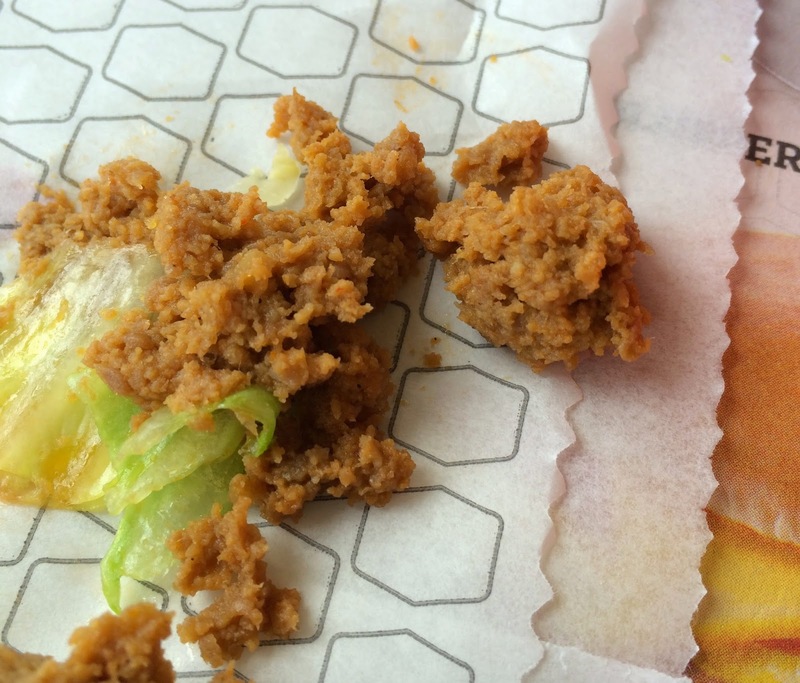 My thought: The burger and curly fries were quite good, I didn't find the mysterious filing in the tacos tasty.